Frederick V. Doty, 93, of Claverack, passed away Friday October 12, at the Stratton Veterans Hospital in Albany. Born November 25, 1924 in Columbiaville, he is the son of Walter and Sophia (Piasta) Doty. Fred lived his entire life in Columbia County. His career was a mechanic for Smith’s Tire Service in Hudson. Fred proudly served in the United States Army, Marines, and Naval Reserves. His service was during World War II from 1943-1946, which included the Battle of Iwo Jima. 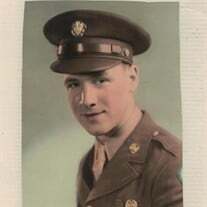 He was a member of the Marine Corp League, and Civil Air Patrol. His honors included the Bronze Star, Navy Unit Commendation Medal, and State Conspicuous Service Cross and Star. Fred was a member of Christ Church Episcopal, serving as an usher and on the Vestry, he was also a member of the VFW #1314. Left to cherish his memory are his beloved wife of 72 years Shirley (Tratnack) Doty, sons Thomas (Wendy) Doty of CA., Gerald (Laura) Doty of Ghent, daughter Cindee (Robert) Piccola of Ghent, 9 grandchildren, 11 great grandchildren and several nieces and nephews. Fred was predeceased by his son Frederick Doty Jr., brothers Walter and Joseph Doty, and sisters Helen Stevenson and Annie Tomasitz.